Although James Gunn won’t be sitting in the director’s chair, Marvel continues to promise that Guardians of the Galaxy Vol. 3 is going to happen. Gunn is currently working for the Distinguished Competition on Suicide Squad 2. But if it’s any consolation to fans, his influence will be felt when Marvel resumes production on the next installment of their cosmic franchise. Star-Lord himself, Chris Pratt, said as much during a recent interview with MTV News. Pratt addressed the elephant in the room while plugging his role in this week’s The Lego Movie 2: The Second Part. 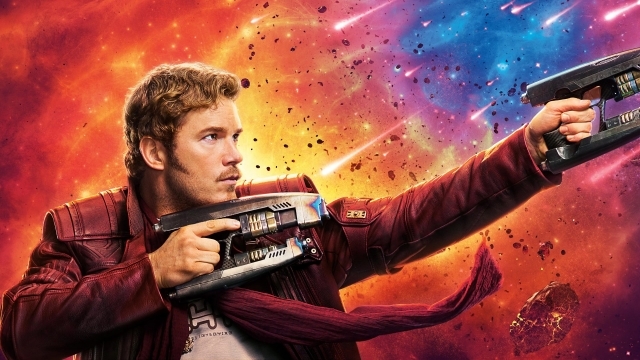 Pratt had nothing but praise for Gunn’s script for Guardians 3, which he insists is “off the chain.” Obviously, Pratt owes Gunn a lot, since the first Guardians film established him as a viable action star after he spent several years starring as Andy Dwyer on Parks and Recreation. But when asked how he’ll feel heading into the project without Gunn at the helm, Pratt seemed very optimistic. Shortly after Gunn’s firing, Pratt joined his fellow Guardians in writing an open letter calling for the director’s reinstatement. Unfortunately, Disney ignored their request, and the film was placed on indefinite hold. Travis Knight, Adam McKay, and Taika Waititi were all rumored to be contenders to replace Gunn. However, none of these rumors turned out to be true. You can hear Pratt’s comments for yourself via Twitter below, then share your thoughts in the comment section!